In the latest blow to Obamacare, Aetna is vastly reducing its presence on the individual exchanges in 2017. The insurer will stop offering policies on the exchanges in 11 of the 15 states where it currently operates, according to a press release it issued Monday evening. 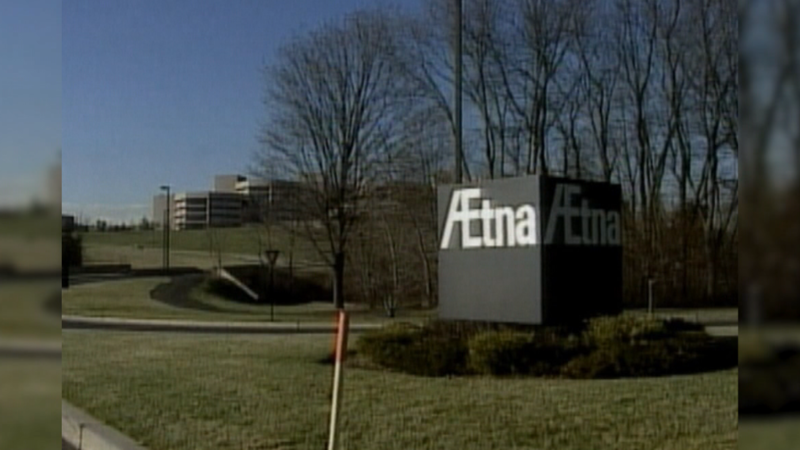 Aetna (AET) will only sell Obamacare products in Delaware, Iowa, Nebraska and Virginia. Aetna said earlier this month that it was halting its exchange expansion plans for 2017 and reviewing its participation in President Obama's signature health reform program. The company noted Monday that it has lost $430 million in its individual policies unit since the exchanges opened in January 2014. Aetna, which had 838,000 exchange customers at the end of June, said its policyholders are turning out to be sicker and costlier than expected. The company, along with its peers, has criticized the federal program designed to mitigate those risks. "Providing affordable, high-quality health care options to consumers is not possible without a balanced risk pool," said Aetna CEO Mark Bertolini. The company will continue to offer individual policies outside of the Obamacare exchanges in the vast majority of markets where it now does business. Off-exchange products are not eligible for federal subsidies. The Obama administration said Monday the exchanges are serving 11 million people and have brought down the uninsured rate to the lowest on record. "Aetna's decision to alter its marketplace participation does not change the fundamental fact that the health insurance marketplace will continue to bring quality coverage to millions of Americans next year and every year after that," said Kevin Counihan, the exchanges CEO. "It's no surprise that companies are adapting at different rates to a market where they compete for business on cost and quality rather than by denying coverage to people with preexisting conditions." Aetna's announcement comes a month after the Department of Justice blocked its merger plans with Humana, as well as Anthem's (ANTX) purchase of Cigna (CI). Anthem has linked its merger with its Obamacare participation. Like Aetna, a growing number of insurers on the Obamacare exchanges are voicing concerns about the viability of the program as they run up big losses. Many say that their premiums were too low and didn't cover the cost of care because their consumers are far sicker than anticipated. Some 11.1 million people are enrolled in Obamacare this year, according to the latest federal statistics. UnitedHealthcare (UNH), the nation's largest insurer that is expecting to lose about $1 billion on Obamacare policies in 2015 and 2016, is exiting most Obamacare exchanges in 2017. Humana (HUM) announced last month that it was pulling out of nearly 1,200 counties in eight states next year. Afterward, it will only be selling insurance on the exchanges in 156 counties in 11 states. Others, including several Blue Cross Blue Shield companies, are also scaling back. "It seems increasingly clear that big, national insurers are having trouble competing in the Obamacare marketplaces and making money," said Larry Levitt, senior vice president at the Kaiser Family Foundation. "Some insurers are still doing well, particularly those that historically served Medicaid beneficiaries." Large insurers aren't the only ones running into trouble. More than half of the co-op insurers, created and funded by the health reform law, have failed. This means consumers in a growing number of areas have only one or two insurers to pick from. To cover these sicker patients, many insurers are requesting big premium hikes for 2017, some in the high double digit percentages. Insurers are requesting premium increases of 9%, on average, for the benchmark silver plan -- upon which federal subsidies are based -- in major cities in 16 states plus the District of Columbia, according to the latest review by the Kaiser Family Foundation. But this masks substantial variation, with requests ranging from a drop of 13% to an increase of 25%. States still have to review the requests and could change them. Last year, premiums for the benchmark silver plans in these areas increased 2% following the state reviews. Insurers, including Aetna, have been pressuring the federal government to make changes to the risk programs meant to help insurers that cover high-cost patients. The program requires insurers with healthier-than-average customers to fund payments to peers with sicker-than-average enrollees. Aetna had to pay into the risk adjustment program in 2014 and 2015. Under the program, customers' health status is based on diagnoses of chronic costly conditions, such as diabetes and HIV. But insurers argue that enrollees' use of prescription drugs, particularly expensive specialty drugs, should be included in the formula. The Department of Health & Human Services is starting to make changes, including taking drug utilization into account. Last week, it said it will propose modifying the risk adjustment program to absorb some of the cost for claims above a certain threshold, funded by payments from all insurers. Obamacare's biggest problems lie in the risk mitigation efforts, said Timothy Jost, an emeritus professor at Washington and Lee University School of Law. In addition to the risk adjustment program, there were two other initiatives aimed at helping insurers cover high-cost patients. But both are ending this year. "I think the market will stabilize, and perhaps Aetna and United will come back," said Jost. "But the market really needs support for another few years until it does, and since the majority in Congress is rooting for [the Affordable Care Act] to fail, it seems unlikely that the support will be forthcoming." In announcing the withdrawal, Bertolini left the door open for Aetna to return to the exchanges if the federal government makes improvements to the program. "[We] remain hopeful that we can work with policymakers from both parties on a sustainable public exchange model that meets the needs of the uninsured," he said. The company "may expand our footprint in the future should there be meaningful exchange-related policy improvements."